Though it is still under the process of development, but General Motors have given nod to the their plan of affixing Apple’s new Eyes Free application on iPhone compatible with Siri to Chevrolet Spark and Chevrolet Sonic. These two will be the first models from Chevrolet’s clan to get Apples’s application by next year. Chevrolet Spark and Chevrolet Sonic already come befitted with MyLink infotainment system that amalgamates with the driver’s smartphone proffering internet connection, entertainment mobile applications that include Pandora, Sticher and GoGoLink. Apart from this it enables navigation, Bluetooth connectivity and receiving hands free phone calls. The new feature, Eyes free will work quite similar to the above explained feature but with a little catch attached to it. It will come along an array of some more features mounted on the steering wheel to it make easy for the customers to talk over the iPhone or iPad which is connected to Bluetooth. We will be able to see this application fitted to Spark and Sonic in the coming year. It will also come along with a microphone so that the driver could make phone calls that will operate through the users run system. 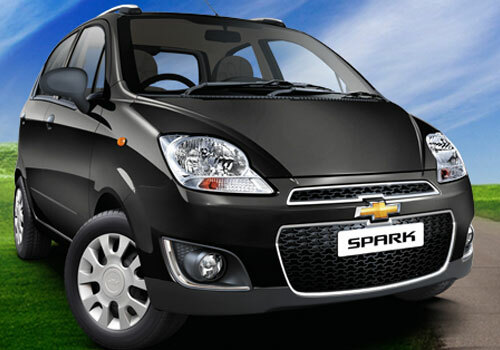 New Chevrolet Spark is coming with attractive features. Overall this is my first car, I'll wait for it to come.